Hi Everyone! 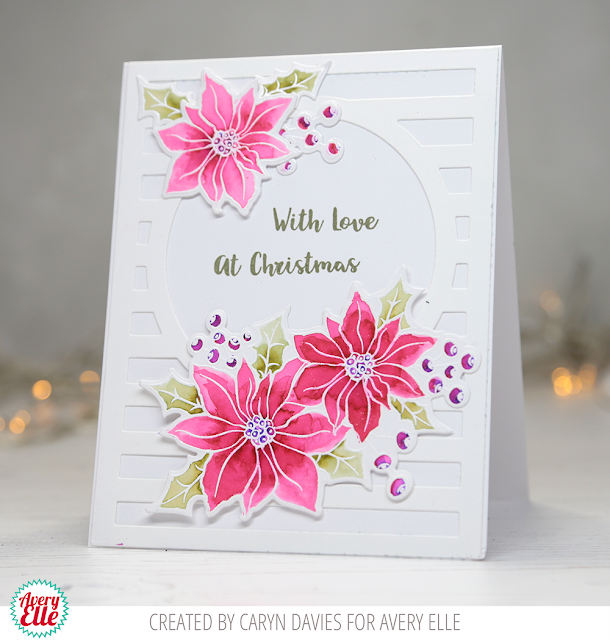 This week we are featuring projects with our fabulous new Holiday Bouquet stamp and die set. Check them out! Here is a quick video on the set as well. Enjoy!! Hello Avery Elle fans - Caryn here today! 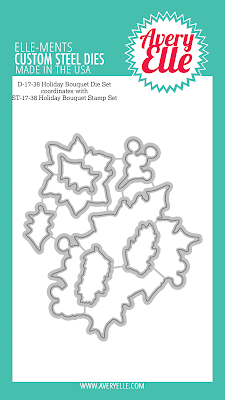 This week on the blog we're sharing our creations featuring a stamp set designed by lil 'ol me - Holiday Bouquet. 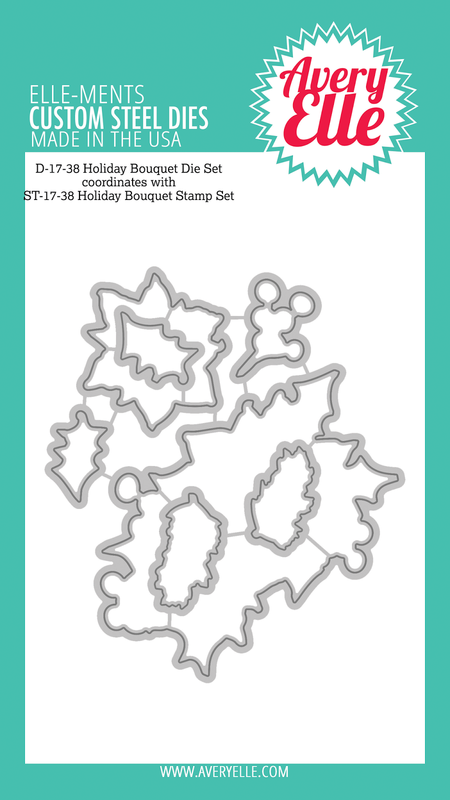 Who doesn't love a festive, floral stamp set? This set isn't JUST for those who celebrate Christmas either. 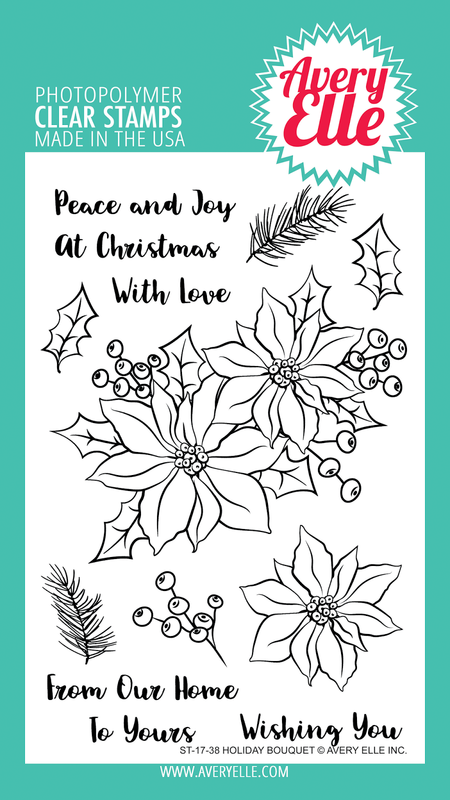 Poinsettia became a tradition originally in Mexico when a young boy couldn't afford to buy a gift so gathered wild plants from the road side. It is also the birth flower for the month of December (which happens to be when my birthday is, yay!). Anyhoo, on to my card. I started with a white card base and die cut the Horizontal Stripes Elle-Ments from white and adhered it to the base. I stamped some of the images from the set in Versamark onto Bristol smooth white card then heat embossed them in white. To colour the images I used Zig Clean Colour markers and water to give a pretty water-coloured effect. Finally once all the elements were adhered where I wanted them I stamped the sentiment in Fog dye ink in the centre. Caryn, this card is just stunning. 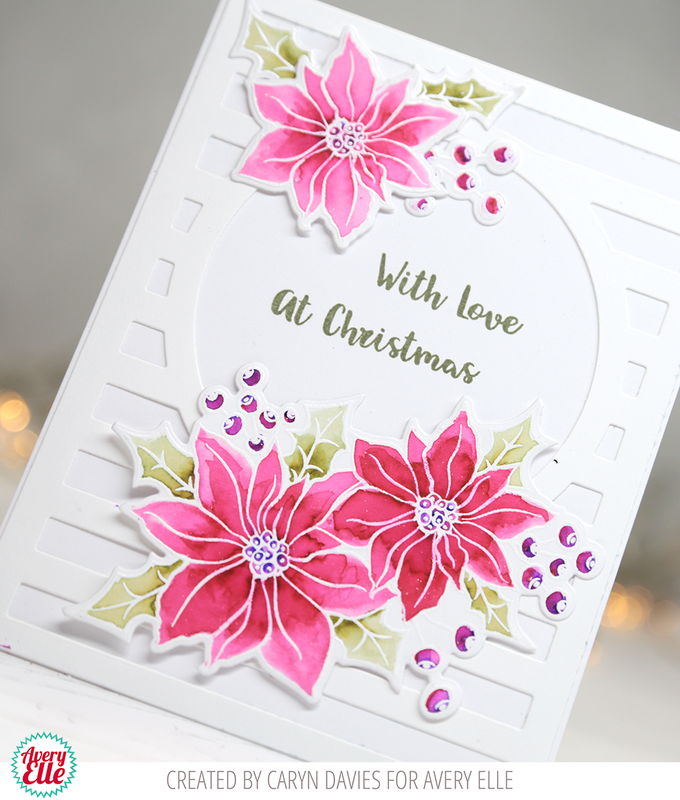 Gorgeous Poinsettias! 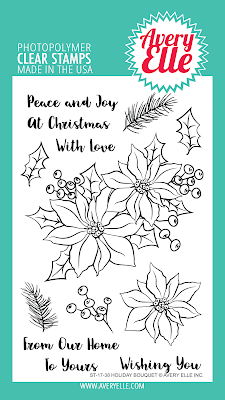 I love, love, love Poinsettias, they are my birth flower. Love this set!